Nathan Eovaldi is returning to the World Series champions. The Red Sox have agreed to a four-year, $67.5 million deal with the free-agent right-hander, who was so critical to Boston’s 2018 title run, a source told MLB.com’s Mark Feinsand on Thursday. The deal, first reported by MLB Network insider Ken Rosenthal, is pending a physical. Tweet from @Feinsand: Source confirms Red Sox have agreed to a deal with Nathan Eovaldi pending physical. Terms not yet known. @Ken_Rosenthal was first with the agreement. 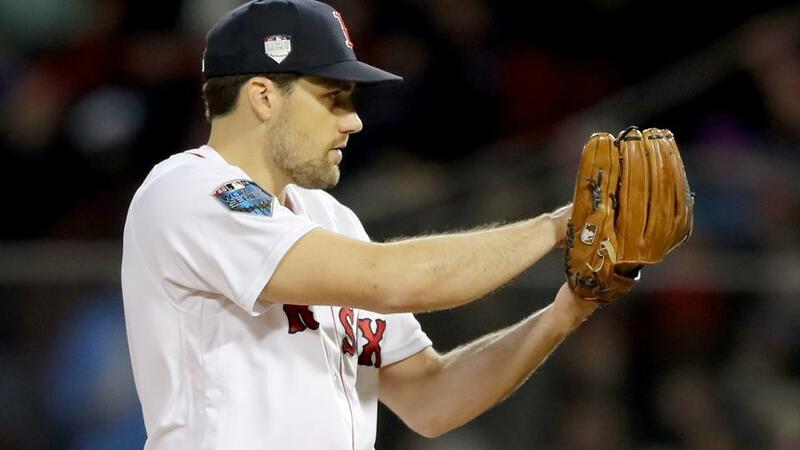 Eovaldi was drawing plenty of interest on the free-agent market from teams other than the Red Sox, including the rival Yankees, Phillies and Padres. But the Red Sox appeared to be prioritizing bringing Eovaldi back to Boston, and they got their guy. Considering his impressive return from Tommy John surgery this season, coupled with his high ceiling — Eovaldi is just 28 years old and has electric stuff, starting with a fastball that routinely hits triple digits — he was easily one of the top starters available, especially after Patrick Corbin agreed to a six-year deal with the Nationals on Tuesday. Eovaldi had a 3.81 ERA and 101 strikeouts in 111 innings over 22 games (21 starts) in 2018. After the Red Sox acquired him from the Rays on July 25, Eovaldi posted a 3.33 ERA in 12 games (11 starts), with 48 strikeouts in 54 innings. But it was during the playoffs that Eovaldi really shined. He had a 1.61 ERA in six postseason outings — two starts and four relief appearances — with 16 strikeouts in 22 1/3 innings. He beat the Yankees in the Bronx in the American League Division Series and the Astros in Houston in the AL Championship Series, and he pitched three stellar relief outings against the Dodgers in the Fall Classic.